Hydrangea bushes are in full bloom all over my neighborhood right now. I love all varieties of hydrangeas, but my favorite is this traditional shaped, blue-purple color. I picked a few this weekend and brought them inside as inspiration for cupcakes. 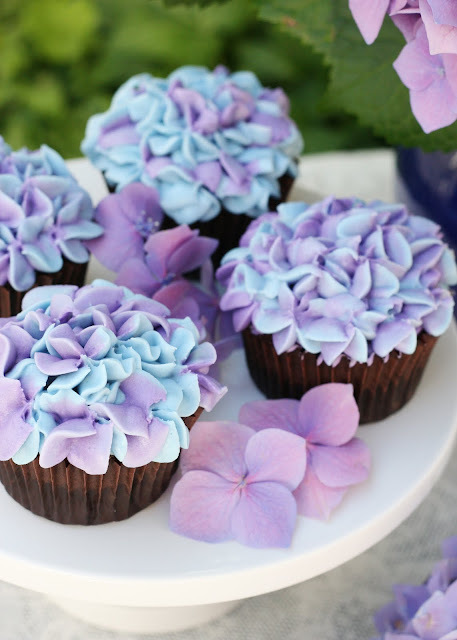 I’ve seen cupcakes that resembled hydrangea flowers before, but I’ve never given it a try. It was much easier than I’d imagined and I was very happy with the results! 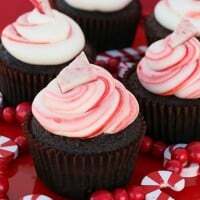 I made a batch of my favorite chocolate cupcakes and delicious vanilla cream cheese frosting. 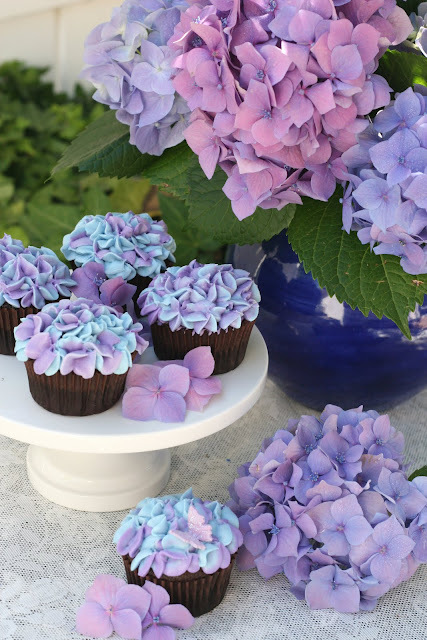 Then I colored half of the frosting blue, and half purple (mixing a few shades of blues and purples to get a good color match to the real hydrangeas). When making the frosting, use very little cream (less than 1 tablespoon), because the coloring will add some liquid, and you need the frosting to be pretty stiff to hold a nice shape. If you’d like to match other hydrangeas, you could certainly use other color options, like light blue and medium blue, or two shades of pink. 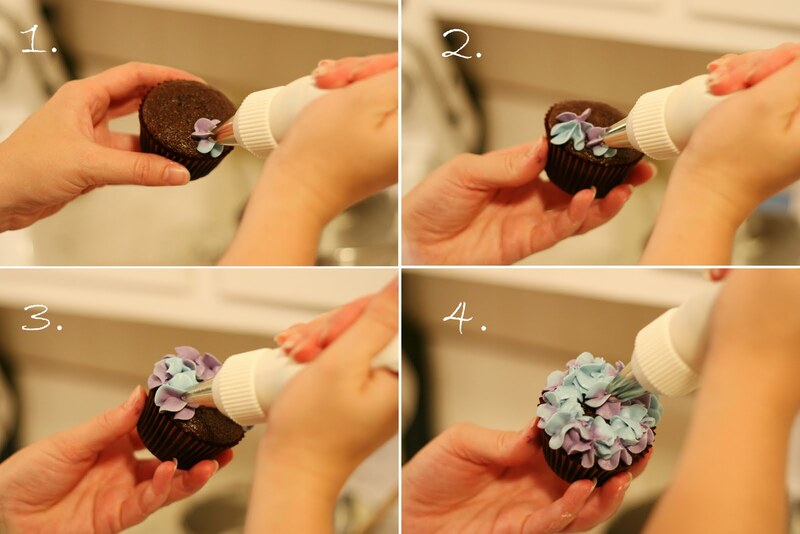 But I do think that frosting these with two colors (instead of just one) really added to the effect. I filled my piping bag with the two colors of frosting, side by side. Once your bag is filled (1/2 to 2/3 full), you may want to just squeeze some frosting into a bowl, until you see both colors coming out. Then, using a Wilton 2D tip (a large closed star tip), I piped large, loose star shapes around the edge of the cupcake, and then filled in the center. If the frosting starts getting too soft (no longer holds a nice shape), then put the whole bag of frosting in the fridge for 15-20 minutes to let the frosting to firm up a bit. Now I want to plan a pretty tea party just so I can make these again! Question – that I don’t *think* you have answered up there yet – I’m pretty new to the whole baking and decorating scene and while I’m definitely starting to get the hang of using a piping bag, I always seem to struggle with getting the frosting into the bags! So the idea of putting two different colors side by side seems impossible.. Any tips? 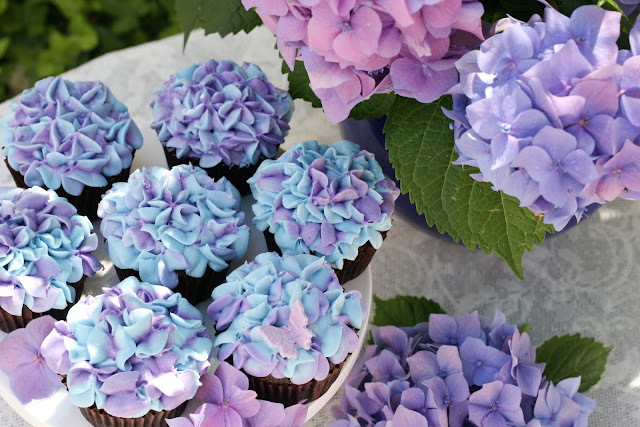 Question regarding your vanilla cream cheese frosting for piping the hydrangea cupcakes; If I add the addl 4oz of cream cheese, do I need to adjust the amount of the other ingredients? 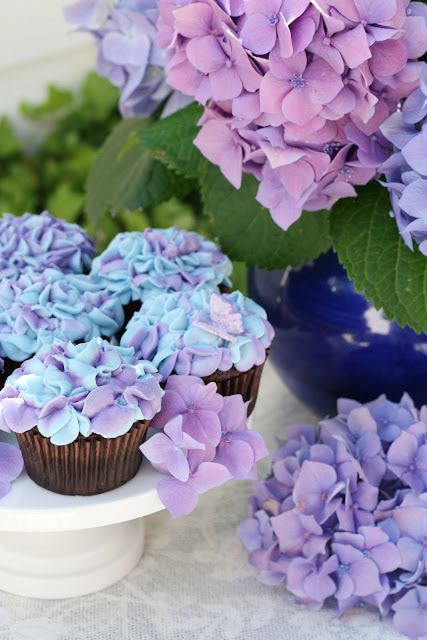 The hydrangea cupcakes are beautiful along with everything else I’ve viewed on your site! Thank you. I’m not sure if you mean 4oz total cream cheese, or 12 oz total… either way, you can keep the other ingredients constant. I’m not sure if you use 12 oz. total if the frosting would be stiff enough to hold it’s shape for this design (the hydrangea flowers), I would suggest sticking with 4 oz or 8oz total. hi, im really a big fan of your page, my english is not treally good, but still i made a couples of your recipies, …and this tutorial are pretty cool. I’ve loved how these cupcakes of yours turned out since I first saw them on Pinterest. I don’t have the need to make cupcakes much, but I do the occasional cake. My best friend just asked me to make her a small cake to take to work on her birthday. She loves hydrangeas, so my immediate thought was to go to my pin of your cupcakes, hoping to get a link to your blog for help on tip size, etc. My cake turned out beautifully, thanks to you! these are insanely gorgeous! i love your website ! Thanks for the tutorial! Would love to make one very soon. Cheers! Well, I saw these by chance, and had to give them a go … and I did it. Incredibly easy, and all the kids that I had here after school thought they were amazing! none left to photograph!! So pretty! Cupcakes are all the rave now and for good reason! Hi, In searching for the correct tip for the frosting, I have found a Wilton “Closed Star Tip” that is available in numbers, like 24, 31, 27… The Tip that is available as 2D is a “Drop Flower Decorating Tip”. Which one shall I buy? Thanks! Buy the 2D (a 1M usually works pretty well also). Wow these are so beautiful, and I absolute love hydrangeas. I have to give this a try. These are so gorgeous. I’ve had this recipe saved for about a year now, tried it once before but made my icing too soft, and just got around to trying it again! I made the icing with barely any cream this time and I think they turned out beautiful! Thanks for the great idea! Beautiful cupcakes, love the colors. what kind of gel coloring and what colors? is it wilton? I made these today for my birthday….and for my first try and also being an amateur they turned out beautiful! Hi Glory, love your site – the best I’ve seen as you keep things so real. Just wondering which colour gels you mixed to obtain such a close match to the real thing? Thank you from Sydney, Australia. I made these today for my birthday and they turned out beautiful. Thanks for sharing! Gorgeous! Just one question – how do they freeze? Will the cream hold up well? I would not recommend freezing the finished cupcakes. 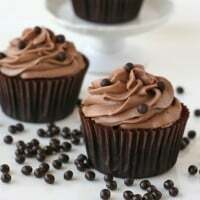 You could freeze the undecorated cupcakes if needed, then decorate them the day, or day before you plan to serve them. 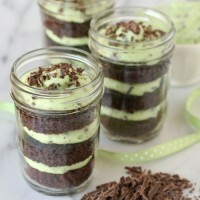 This wonderfully beautiful recipe has been featured on Whistlin’ Wednesday at Be Wit’n WIse! You did great with these cupcakes, they’re so…… well……… Glorious! Glory, I made these and the frosting turned out pretty goopy. It didn’t get fluffy like yours. Any tips? Your frosting was just too thin, either your ingredients (butter, cream cheese and cream) were too warm, or you added too much liquid. The frosting should be quite thick. Also, as you are working, the warmth of your hand will warm up the piping bag quite a bit. As needed, put the bowl of frosting, and/or the piping bag (with frosting in it) in the refrigerator as long as needed until it firms up (30 minutes or more). Glory, do you have specific colors that you mixed. The colors were just stunning as is the whole presentation!! Just thought you might have written down what you did exactly to get the colors. Wondering if you still read comments on this page????? We shall see. I’m having a heck of a time trying to achieve your gorgeous colors. 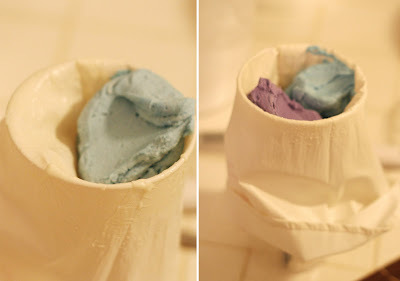 Will you please share more info on how you put together your frosting colors? You just said blue and purple. I need your help…….mine doesn’t look like yours at all. Big hug of thanksgiving. I use Americolor brand colors, and although I don’t know for sure the exact proportions, I likely used sky blue and regal purple. Nice to know you still answer older post questions. Don’t really know how you find the time to do all you do. I can only imagine how time-consuming blogging must be…let alone all the baking, decorating and clean-up involved with running a family. Thank you for all you share. You are the BEST. I used your idea and mine looked awesome. I used a sage green and lighter green, worked great!! Thank you! I think these are the prettiest cupcakes I have ever seen!